Join us for ROAR! 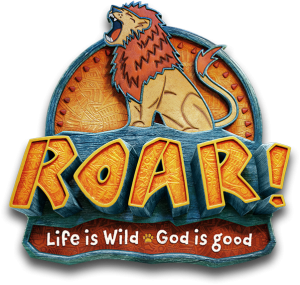 Vacation Bible School at Geist Christian Church is for children age 4 by August 1, 2019, through those entering grade 3 fall 2019. Older children (4th grade on up) will serve as junior guides. Adult volunteers are also needed. Come join our safari and trek through the daily stations with your age level group. There you will meet up with experienced rangers and learn daily lessons through songs, crafts, games, missions, and snacks! Registration is open now! Register here. Cost is $25 for the 1st child in your family, $15 for 2nd child, $10 for 3rd child ($50 maximum fee per household). Free if an adult volunteers all week. Adult volunteers may sign-up here. Youth Volunteers may sign-up here.